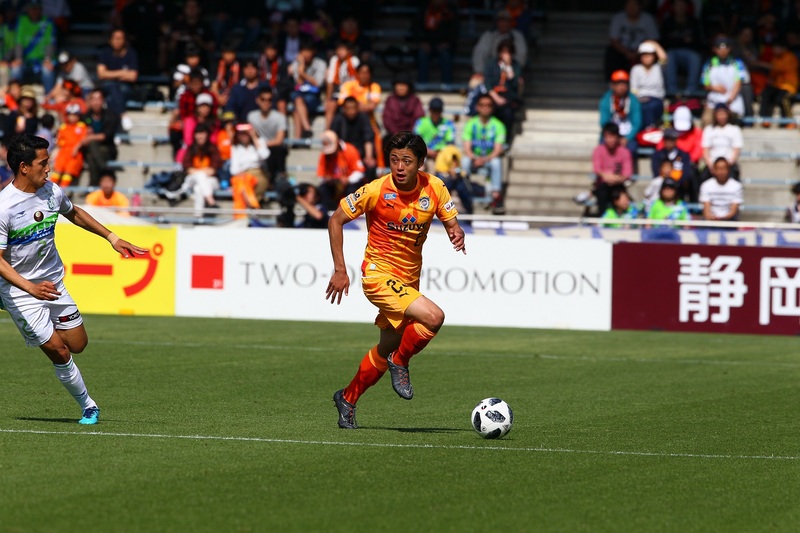 SHIMIZU S-PULSE vs URAWA REDS DIAMONDS(August 19th 2018) LIVE COVERAGE! Full time! Great game in spite of disappointing draw! 90 +4′ dangerous free kick for S-Pulse! Barely saved by keepr! 89′ Free kick for Reds.Barely saved by Rokutan! 82′ Corner kick for Reds. 81′ Corner kick for S-Pulse. Barely past post! 77′ Very dangerous free kick for S-Pulse following a blunder by the defense once again! 75′ Corner kick for S-Pulse. Inconclusive. Lee in for Koroki for Reds. 70′ Another corner kick for Reds. Punched away. GOAL! Stange goal allowd we don’t know why! 69′ Corner kick for Reds. Heading barely past left post! 65′ Corner kick for Reds. Inconclusive. 63′ GOAL! S-Pulse hits the post but Kawai converts! 60′ Corner kick for S-Pulse. GOAL! But for Reds on counter exploiting S-Pulse’ defense blunder! Martinus in for Iwanami for the Reds. 55′ Kitagawa Misses a good opportunity created by Douglas. Flying over the bar! 52′ Corner kick for Reds. Barely saved by Rokutan! 50′ GOAL! Superb heading by Douglas on a free kick! 47′ Another dangerous free kick for Reds 28 meters away. Barely saved away! 46′ Corner kick for S-Pulse. Great shot past the right post! Half Time: Fairly even game. Both teams created plenty of chances in an attacking game! Now, the second half could be anything! 45 + 2′ dangerous free kick for reds 35 meters out. Completely wasted away! 44′ Reds miss easy goal! 40′ Free kick within box range for Reds. Safely caught by Rokutan. Dangerous counter by S-Pulse. 39′ Long S-Pulse pressure coming to no avail. 31′ Goal disallowed for S-Pulse! 27′ Another great S-Pulse shot saved into corner kick! Ends with ambitious long range shot! 27′ great long range shot by S-Pulse saved by the keeper! 26′ Very dangerous counter by S-Pulse but failed in extremis! 21′ Corner kick for Reds. Punched away. 18′ Corner kick for Reds. Wasted away. 15′ Reds’ dangerous attack but last shot wide! 13′ Mauricio pounces on a defense mistake. Yellow card and dangerous free kick again! Inconclusive. 10′ Dangerous free kick for Rds on the box line! GOAL! Rokutan had no chance! Nicely curled in by Abe! 97′ S-Pulse Putting on the pressure. Corner kick! Inconclusive. 6′ GOAL! Great passing down to inside the box converted by Kaneko! Makoto Kakuda replaces Freire who is suspended. Douglas comes back from injury. Iida replaces Tatsuta on national duty. Shimizu S-Pulse are hosting Urawa Reds, a club famous for its toughness in the J1 league. Shimizu A-Pulse is on 3 defeats stretch. Let’s hope they come back t their winning ways!